Update: Apple has chimed in that TechCrunch's story is "not true," though the company appears to have some changes planned for the Beats Music brand. 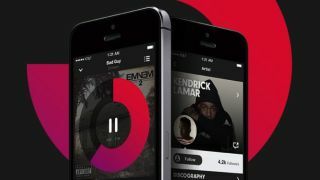 According to Re/code, which spoke with an Apple spokesperson as well as unnamed sources, Apple isn't shutting down the Beats Music service, though it may implement modifications over time. While Beats Music isn't necessarily going away, the Beats Music brand may disappear. Apple doesn't want to stop of streaming music, but it's all pretty nebulous how it will proceed and what branding it will use for whatever it offers users down the road. Apple is ready to forget about Beats Music, the streaming service it picked up as part of a blockbuster Beats acquisition four months ago. According to multiple sources of TechCrunch, Apple plans to shut down Beats Music, though exactly when isn't clear. With Beats Music engineers apparently already turning their attention to other projects (including iTunes), no built-in app on the iPhone 6 or iPhone 6 Plus, nor any mention of integration during the Apple Watch announcement, it seems Apple is ready to press pause permanently on the brand. It's widely thought Apple's multi-billion dollar buy of Beats was never about Beats Music, not least because its user numbers are paltry. Bringing co-founders Dr. Dre and Jimmy Iovine into the Apple fold was much more of a coup, not to mention Beats' high-profile headphone business. Throw in the fact Apple is all about brand continuity, and keeping Beats Music running alongside iTunes doesn't mesh with the Cupertino modus operandi. We've heard for months that Apple's download model has struggled to keep up as streaming music competitors like Spotify, Pandora and Google Music rack in users. Beats Music tried to attract listeners with its curated playlists and free trials, but it failed to catch more than 250,000 subscribers. While Apple may be done with Beats Music, it's very unlikely it's done with music all together. It still has a huge iTunes following as well as iTunes Radio. One TechCrunch source said Apple may tie streaming into iTunes; imagine pressing a "Play" button, for example, situated next to a "Buy" button. While iTunes isn't going anywhere, Apple may have a major music announcement lined up for 2015. Until then, we'll wait for official word on the fate of Beats Music. We've asked Apple for comment, but a straight answer isn't likely forthcoming. What can you expect with the iPad Air 2?